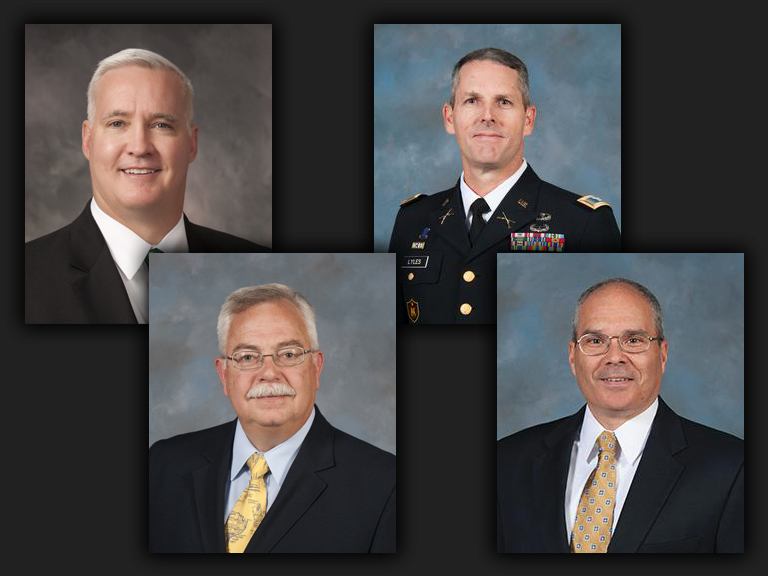 With strategic research papers submitted and oral comprehensive exams completed, Army War College students now select professional development interests and delve more deeply into the core curriculum. CARLISLE, Pa. (April 6, 2018) – With strategic research papers submitted and oral comprehensive exams completed, Army War College students now select professional development interests and delve more deeply into the core curriculum. Students immerse themselves in the knowledge and functional expertise of faculty from across war college institutions including the Peacekeeping and Stability Operations Institute, Strategic Studies Institute, Center for Strategic Leadership and Army Heritage and Education Center. “The electives program allows the students to select topics they will use going forward, either of a more conceptual nature, like negotiations, strategic leadership or critical thinking, or a more practitioner -- oriented take on what the students will be doing when they graduate and go into their next job,” said Al Lord, Director of the Joint Warfighting Advanced Studies Program. Electives run from March to May, and represent thirty-hours of contact time. The National Security Policy Program provides selected students with an understanding of the national security policy-making environment and the fundamentals of national security policy-making and implementation. The special program is taught during the electives period. The students receive credit for all their electives, and will be prepared to fill policy planner positions in the interagency, with combatant commander staffs, and in joint international organizations such as NATO and the United Nations. “Upon graduation we should be sending out from the U.S. Army War College a group of 15 to 16 graduates who are prepared to hit the ground running in national security policy making and implementation assignments … and thereby increasing the value that the War College adds to the Army, sister services and interagency,” said Ryan. How to Negotiate: Strategy and Process exposes students to the art of negotiation. Throughout the elective students participate in exercises and case studies to develop negotiation skills. A few of the key skills students learn are how to assess negotiating structure, make advantageous choices and seek ways to change the negotiation favorably. "I hope they realize the pervasiveness of negotiating in their daily lives, both personally and professionally," said Woods, Professor of Strategic Leadership. "We negotiate with our colleagues, our bosses, and with those we have no direct authority over but have an interdependent relationship with - we have something to offer them a better solution and they have something we value. "I want them to walk away with tools that help them prepare for, execute, and evaluate the outcomes of the negotiations they encounter," he said. This year the elective welcomed back guest speaker Jamil Mahuad who was the 39th President of Ecuador. Mahuad, a Nobel Peace Prize nominee, presented a case study of his peace agreement with Peru that resolved a long-standing border dispute. The case study called on all the skills the elective student had learned throughout the course and served as a capstone event. "They have had many lessons about negotiations during the class," said Mahuad. "They've had the theory, the methods, the approaches to negotiation, and they have do a lot of practice with case studies. This is a life case study. I present the imminence of war between Ecuador and Peru and then invite them to think about how to solve the problem to avoid the war using the methods they have practiced in class. The course begins with an overview of current and emerging principles, concepts and doctrine that provide the overarching framework for designing, planning and executing peace and stabilization operations. Using this framework, the course then explores key stability sectors and essential tasks needed for success across a comprehensive peace and stabilization approach, using case studies and simulations to reinforce learning objectives. The course concludes with an in-class tabletop exercise highlighting key stability and peacekeeping principles applied to a current crisis scenario. This course examines the role of strategic leaders in cyberspace operations and the issues that affect joint and multinational operations. The course focuses on issues such as national protection from cyberspace threats, and it examines how technological, social, and cultural factors influence cyberspace. Students develop an understanding of the limits imposed upon the military, and the legal and legislative issues concerning cyberspace. Senior officials from the intelligence and cyber communities regularly give presentations on threats, current operations, and inter-agency cooperation concerning cyberspace. "This non-technical unclassified elective educates U.S. students and International Fellows on the evolving international cyberspace issues with emphasis on fundamentals and strategy," said Taylor. "The course is offered in a survey manner, with emphasis on strategy, design, security, and impact. In a whole-of-government and national context, the course topics included cyberspace as a domain, international law and norms, cyberspace design, vulnerabilities, and threats, as well as the impact of social media." Taylor said the last two sessions includes a joint Army War College and Dickinson Law School table top exercise that examines international cyber policy and law. This new elective provides students a chance to interact with and learn from senior leaders within the intelligence community, and challenges students to use academic rigor, best practices and individual experience to develop analysis that scrutinizes strategic intelligence and topics identified by military and joint intelligence staffs. Lester said the purpose of the new elective is to develop the intelligence program at the Army War College, refine concepts of what constitutes strategic intelligence, and combine operational and academic practices as they apply to strategic intelligence. "Intelligence education supports the development of critical thinking,” said Lester. "When we talk about building this program, it's not just so that we can learn about the intelligence enterprise, but rather to develop an understanding of the field so that students can be really critical about the intelligence they're getting and learn how to use it best." Defense Resource Management studies the Department of Defense planning, programing, budgeting and execution process and the theories, processes, and applications. 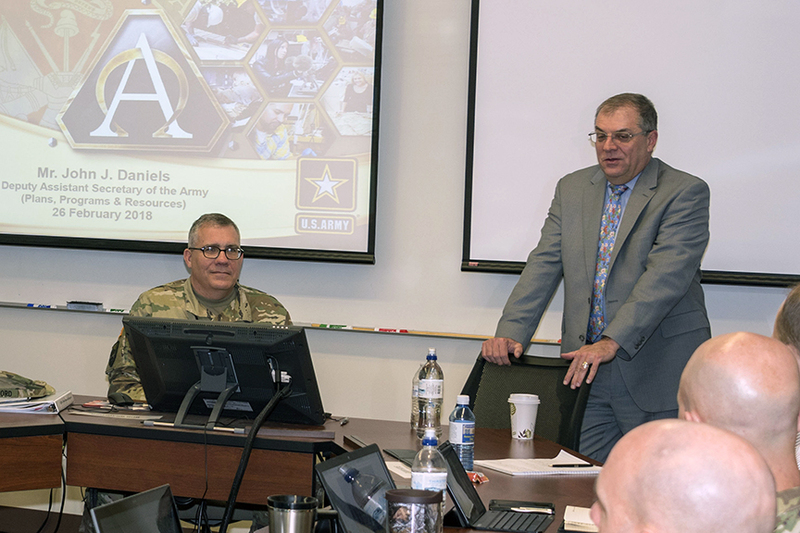 Subject matter experts regularly speak to the elective, e.g., John Daniels, Deputy Assistant Secretary of the Army for Plans, Programs and Resources. He recently discussed modernization strategy and regaining U.S. overmatch against near and mid-term threats. Gerras explained that he separates the critical thinking course into two parts. He dedicates the first five classes to learning the specific skills of critical thinking, and the last five to applying those lessons to current event topics provided by students. “We try to apply those critical thinking skills that we discussed, and hopefully learned, in the first five lessons,” said Gerras, Professor of Behavioral Sciences. JWASP is a special program worth multiple elective credits that provides selected students with an advanced learning experience in joint force command and multinational operations. “The international students we have are absolutely key and essential to what we’re able to do,” said Lord, who pointed out JWASP’s healthy mix of international fellows and U.S. students working together. “Our particular program is the only one that offers an area of concentration in joint and multinational operations, so we take the entire students electives requirements.… We give them a good overview of what’s going on in the joint force. We try to bring in people that have recently led, managed or participated in joint and multinational force operations. JWASP draws on all the expertise of the War College and culminates in a three-day wargame against a thinking adapting operational force simulated at the Center for Strategic Leadership in Collins Hall. “We have lessons in peacekeeping stability operations, interagency, so we give the students a pretty broad brush treatment. We build on the core curriculum, which is really important … we like to think it’s the premier joint warfighting elective,” said Lord. Students self-select this elective to deepen understanding of the international strategic environment by exploring in detail interests and challenges of Colombia and Chile, Israel and Jordan. “We’re looking at how to give students more depth and understanding of the external environment -- other countries and organizations,” said Lyles. Lyles envisions the Advanced Regional Studies as a means to break the tendency to view the world as if everyone else was somehow like us, “… to help break them out of what in the past has been a downfall of American policy and strategy development,” said Lyles. “I think the benefit of the electives program is to allow students to broaden their experience in line with their passion,” said USMC Lt. Col. John Colombero, USAWC student. “There’s a number of options here at the Army War College, and enough electives that fall in line with what people are doing or what they’re going to be doing. “I think that’s the real benefit, because what it does is gives the students some ownership of the process as far as their future education,” said Colombero.